The following "Group Partners" of East Renfrewshire Good Causes (ERGC) are organisations operating within East Renfrewshire, and work with us, in a variety of ways, to improve the lives of our neighbours in ER. These groups/charity partners do not pay a monthly standing order to ERGC, however they may do fundraising events to help support the work that we do, and are all valued members at the heart of our local ER community. ERGoodCauses will work with all political parties in East Renfrewshire, and as a charity we welcome the support of any political party who wish to raise the standard in East Renfrewshire. 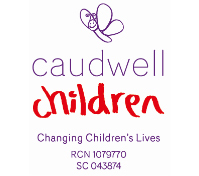 Caudwell Children is a national charity that provides practical and emotional support to disabled children and their families. They enable access to the services, equipment, therapies and treatments that children need to lead happy, active and independent lives. The Health and Social Care Partnership (HSCP) is an innovative partnership, responsible for delivering all local health and social care services to East Renfrewshire people in an integrated way. The HSCP is a full partnership between East Renfrewshire Council and NHS Greater Glasgow and Clyde. Cosgrove is a charity that specialises in providing personalised support and care services for children and adults who have learning disabilities, autistic spectrum disorders, and mental health issues living in and around Glasgow and East Renfrewshire. At Cosgrove, we believe that the people we support should have the same opportunities as everyone else. We believe that everyone should be able to experience new opportunities, face new challenges, realise ambitions, grow as an individual and achieve their full potential in a safe environment. Voluntary Action East Renfrewshire SCIO is a local charity that was established in 1998. We are committed to supporting individuals and local groups and organisations to work together to meet the needs of local residents. We connect and support volunteering, social enterprising activity and voluntary groups with the goal of making East Renfrewshire an even better place to live. 1st Clarkston Rainbows meet in Greenbank Church from September until May inclusive. Girls are aged between 5 years old and 7 years old. Further information can be found via the contact details below or the Girlguiding website. Established in 1970, Eastwood Rotary Club is a vibrant and growing club with a great mix of members - old young, male, female, working, retired. But we are united in maintaining a busy timetable of charitable and social activities. Our aim is simple - enjoy socialising while seeking fun ways to raise money that can be used to help our community. If you feel that you want to put something back into the community while gaining a whole new group of like-minded friends, then come and join us. There are over 1.2 million Rotarians worldwide and Eastwood is one of over 50 Rotary clubs in the West of Scotland alone! We do fundraising through concerts, golf events, bag packing and any other ideas we can come up with. We can help the needy in our local, national and international community in so many ways. 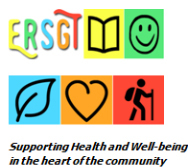 The East Renfrewshire Small Grants Trust is a newly established charitable trust whose objective is to promote the health and well-being of all East Renfrewshire's residents. The Trust will provide one-off, small scale funding for activities and stand-alone events Applications are invited from any Scottish or UK registered Charities and to unregistered bodies that have charitable purposes providing the donation is used to benefit the people of East Renfrewshire. Situated in the upmarket leafy suburb of Newton Mearns, The Avenue is a hidden gem for shopaholics and also those people who just want to avoid the impersonal sprawl common to many of the bigger shopping centre. In this age of trolley-dash shopping culture, The Avenue provides a calmer, more relaxed atmosphere whilst providing shoppers with an extensive range of stores to ensure that everything you need is under one roof. 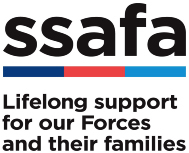 SSAFA provides lifelong support for our Forces and their families. This means that if you're currently serving or have ever served in the Royal Navy, British Army or Royal Air Force, we're here for you and your family for life. We understand that your time in the Forces can impact on you, now and in the future. And sometimes you might need a bit of practical help. But we also know the challenges everyone faces are different. Do we're committed to being here whenever and wherever you need us. At SSAFA we've been supporting our Forces and their families for more than 130 years. Today, we continue to help thousands of people in hundreds of different ways. 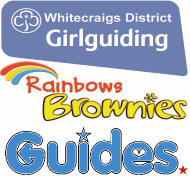 Rainbows, Brownies and Guides meet in Broom Church and Maxwell Mearns Church on evenings throughout the week providing a wide variety of opportunities for girls and leaders aged 5+. Further information can be found via the contact details below or the Girlguiding website. Age Concern Eastwood Dementia Project provides day care to people of East Renfrewshire who have a diagnosis of dementia. We offer a relaxing but stimulating environment that allows people to come together who share similar problems relating to their everyday lives. We offer personalised assistance and support with personal care, special dietary needs, communication issues, emotional problems, physical challenges, cognitive stimulation therapy (CGS), etc. There is a full carers programme where carers can meet for mutual support, carers lunches, educations sessions, etc. At the East Renfrewshire Carers' Centre we provide a full programme of support to carers and young carers. Our ability to do this is supported by donations we receive. All donations received are spent directly on carers and young carers. For young carers, donations would contribute to group nights as well as trips and activities to places like the cinema, theme park and bowling. For adult carers, we can provide respite and short break opportunities, stress management and relaxation classes, support groups and activities such as coffee mornings when the carer can get away from the house for a short period of time and away from the stresses of being a carer. Jewish Care Scotland is a registered charity providing professional social work and social care services to individuals and families within the Jewish Community in partnership with East Renfrewshire Council. Support can range from specialist help for people with mental health problems, to welfare rights advice and debt counselling. Jewish Care Scotland runs a registered day-care centre, kosher meals-on-wheels, a lunch club for older people, a club for those with long-term illness or disability, a weekly drop-in centre for adults with mental health problems, a kosher foodbank and a hardship fund. Over 110 volunteers in the Social Care Agency assist Jewish Care Scotland in all areas of activity. Please call us in confidence on 0141 620 1800 to speak to a member of the social work team or for information about our clubs and services. We are a mixed bunch of local people all with different life stories. However, discovering the amazing acceptance of God through faith in Jesus Christ is what draws us together and enlivens all we do here! Our worship is "reverently informal", "contemporary and traditional". However, as God addresses us, we find we want to respond in praise and prayer, in daily life. Though part of The Church of Scotland, we come from all denominations and none - we would love to welcome you! You'll find us at the rear of Mearns Castle High School. There are lots of activities within our buildings, and Sunday services are 10.30am weekly and 7.00pm fortnightly. The Glasgow South and Eastwood Extra is the 'go-to' newspaper for all your news in the south of the city and Eastwood. Running since 1983, with a hard copy circulation of over 30,000+ per week, along with a strong and growing online presence.it has become the newspaper of choice for many families and local businesses to advertise in. The Extra is the paper at the heart of our community and connects all the different individuals, groups and businesses with each other, throughout the region. 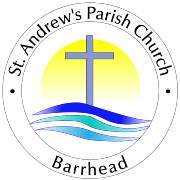 St Andrew's, Barrhead is part of the Church of Scotland. It was formed in 2013 through the union of two congregations, Arthurlie and South and Levern, which have served the Barrhead area for over two centuries. At St Andrew's you will find a warm welcome and joyful worship. We have three services each week: Sunday, 9.30am and 11.00am, and Wednesday at 10.45 am. Our worship is a mixture of traditional and modern employing multi-media and a praise band as well as a choir and organ. There is also a Junior Church at 10.45am for young people and a creche at 11.00am. There is a variety of healthy, well-attended organisations within St Andrew's: Scouts, Guides, Boys Brigade, Guild; and our buildings are also used by community groups such as child-minders, martial arts club, Fatburners, Baby Sensory class etc. We also have a regular Sunday morning prayer meeting, housegroups at various times throughout the week, special women's events are held a couple of times in the year, and discipleship/bible study courses are run regularly. 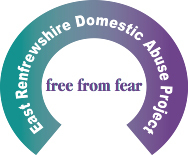 East Renfrewshire Domestic Abuse Project is a domestic abuse project which is being hosted by Women's Aid South Lanarkshire, serving the communities across East Renfrewshire. We aim to support and empower women, children and young people who are experiencing, or have experienced domestic abuse. We provide a range of needs led services including Refuge accommodation, support and information, which ensures improved outcomes. The Church of Jesus Christ of Latter-day Saints is a worldwide Christian church with over 15 million members. The Church was established in Scotland in 1840 with its first Branch in Paisley. Today the Church has congregations throughout Scotland including Shetland, Orkney and the Western Isles, and from Thurso in the north to Stranraer and Dumfries in the south. The Church is sometimes referred to as the "Mormon Church" because of the Book of Mormon - one of the books of scriptures used by members as well as the Holy Bible. Mormon was one of the ancient prophets. The Church has been meeting in its current location in Glenburn Road, Paisley PA2 8PN since 1964. It has a consolidated Sunday schedule, meaning that church meetings begin at 10am each Sunday and conclude at 1pm. There are three elements to Sunday meetings (a) separate gospel instruction classes for men, women, youth and children (b) Sunday school classes for adults, youth, children and those wishing to learn more about the Church, and (c) a family worship meeting during which sacrament is administered. Ecclesiastical leader is currently Bishop Douglas A. Yates. Visitors are encouraged and made very welcome. 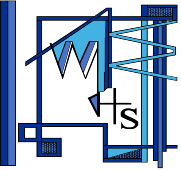 The Woodfarm Educational Trust (W.E.T.) is a registered Scottish charitable company based in East Renfrewshire. The Trust manages the Woodfarm Education Centre (former Woodfarm Sports Centre, 1 Burns Grove, Giffnock, Glasgow G46 7HF), which is the first facility serving the educational, religious, cultural and social needs of East Renfrewshire's Muslim community in its 40+ year history. The objects of the W.E.C. are two-fold: to advance education, culture, heritage and religion for the public benefit among the residents of East Renfrewshire, particularly the Minority Ethnic Muslim Community; to promote religious and racial harmony for the public benefit among the residents of East Renfrewshire. As a school, we encourage our pupils to be aware of the needs of people both "at home and away", and to play a personal part in contributing to meeting the needs of both groups. To help that focus, we will often split funds raised between a charity or project which targets people in other areas or countries less fortunate than themselves and a charity that provides for the needs of people within our own community. 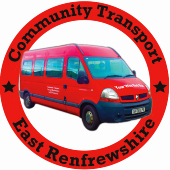 East Renfrewshire Good Causes provides an appropriate vehicle for that as we know the money raised for them will end up helping the folk in need around us and we have been happy to contribute to their work. 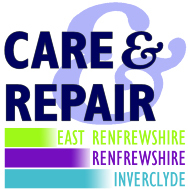 Care & Repair Renfrewshire provides free and confidential advice and practical assistance to people who are older or have disabilities and live in Renfrewshire or East Renfrewshire. The aim is to enable repairs and adaptations to be carried out to allow our clients to maintain their independence and remain in their own homes comfortably, safely and securely. We provide a range of services including carrying out small repairs and handyperson jobs, managing disabled adaptations, providing advice and making referrals to reputable contractors. We are funded by Renfrewshire and East Renfrewshire Councils and managed by Bridgewater Housing Association. Self-Directed Support Forum East Renfrewshire is for anyone thinking about directing their own support or that of someone they care for, or who is already directing their own social care package. Formed in 2011 by a small collective of service users and carers, with funding from the Scottish Government, it's a friendly, informed place to turn to ask others' advice, share experiences and feel supported. We all direct our own support package or the support of the person we care for and can help you with everything from the need-to-know to the good-to-know. Not only that, but because we have a mix of care and support needs, there's every chance of you being able to speak to someone whose circumstances are similar to your own. Sounds International is a community singing group made up of around 100 people of all ages and walks of life, who share a joy in singing. 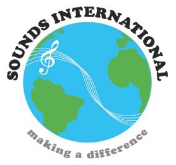 Founded in 2003 by professional vocal coach Eddie Binnie, Sounds International has won widespread respect for its ethos of promoting a closer understanding between people of all beliefs, nationalities and cultures through the unifying effect of music. concerts are undertaken throughout the year to help raise funds for community groups and charities, particularly those that do not receive statutory funding. Tuesday night is choir night, from 7.30 to 9.30pm in Stamperland Parish Church in Clarkston. Imagine waking up as a child on Christmas Day to no toys, gifts or a hot meal. Every child deserves gifts on Christmas Day no matter what their circumstances are. Now imagine that your generosity has turned that sad face into a bright happy excited child on Christmas morning. Giving is the true spirit of Christmas! Can you donate just one gift? Glasgow's Spirit of Chritmas children's gift appeal was created to support children living in poverty and hardship in and around Glasgow and launched at the end of October 2014. We would love to see a group in every region because the sad reality is that 1 in 5 children (210,000) right here in Scotland lives in poverty and that figure is set to rise over the coming years with a massive increase forecasted in child poverty by 2020. We want to make sure every child is included at Christmas and has a wonderful magical experience, even if for now..it's to light up one life for just one special day! You and your family can become a secret Santa to a local child in need this festive season. Join us on Facebook! Scripture Union (SU) Scotland work in East Renfrewshire in a number of ways. Volunteers run SU groups in schools across the region allowing pupils from to explore the Bible in a fun, relevant and appropriate ways. Within the curriculum they resource and support schools as they seek to implement their RME and Religious Observance requirement. Children and young people from East Ren attend the very popular SU residential events (weekends and weeks at Easter and Summer). Cartsbridge Evangelical Church is an active, vibrant church based in Busby. We seek to live out our Christian beliefs in service to God and the community. Our main service takes place every Sunday at 11:30am, and throughout the week we have a varied programme of activities including toddlers and lunch clubs. Please see website for more details. All welcome. In November 2013, Parishioner Louise Russell set up a registered charity to support the over 60s to afford a rescue pet companion. Her mission was to support individuals through loneliness, and animals through homelessness, by bringing the two groups together. It seemed like a simple solution to her, to two of societies prevailing problems - loneliness in our ageing years and the rising number of animals in shelter. If money is a genuine barrier to rehoming an animal, the charity can pay the rehoming fee and continue to support on a monthly basis, if need be, with the cost of pet food. To date, the charity has been extremely successful and has helped 80+ animals and individuals to have a brighter future! Through the charity, Louise has supported many people in various ways, including finding volunteer dog walkers for individuals who were too ill to walk them, emergency foster care for animals whose owners were taking into hospital and new homes for animals who owners had died or were suffering from terminal illness and were worried about their pet companion. Sell and Swap Clarkston is a local Facebook group that gives people a free platform to sell their unwanted items. There are some great bargains to be had. We have around 7500 members and it is a great community page that also helps promote local businesses. We are a large primary school who actively encourage pupils to work in partnership with the community. We feel it essential to take a positive role in supporting charities and projects in our local area and East Renfrewshire Good Causes provides a mechanism for doing this. Mearns Primary School often split funds raised in order to support projects in other countries as well as those in our surrounding area. We are happy to support and contribute to the work of ERGC as it is encouraging to see the difference this help can make to so many deserving causes. Local Area Co-ordination is based on a vision of community where people with specific additional support needs and their families are valued as full and equal members. We work alongside children and adults with Autism or a learning disability and their families, building confidence, supporting them to achieve positive change in their lives. We also work alongside communities, groups and organisations, supporting them to become more welcoming and inclusive. Woodfarm High School is situated in the Thornliebank area of East Renfrewshire. It is a co-educational, non-denominational Integrated Community School, catering for pupils of all ability. An important aspect of the school's ethos is to educate and encourage pupils to take a keen and practical interest in people less fortunate than themselves. Over the years we have a proud record of charitable fundraising for causes both at home and abroad. On occasion we have asked East Renfrewshire Good Causes for support with the needs of individual pupils. We have also supported them in their worthy fundraising initiatives. Woodfarm High school is proud to be recognised as a supporter of East Renfrewshire Good Causes and wish your organisation well in its present and future good work. Williamwood High School is a high achieving secondary school in the heart of East Renfrewshire. Our aim is to support all of our pupils to develop as individuals and enable them to be happy, safe and achieving their full potential. East Renfrewshire Good Causes is a local charity that can help us to do this and we are very proud to be recognised as one of its group partners. We will endeavour to support this charity through our fundraising events and we will continue to raise awareness of the good work that the charity does within our community. Newton Mearns Baptist Church is a growing community of Christians committed to the Good news of the Gospel of Jesus Christ. It is a diverse and dynamic gathering of people who worship and work together to live out the message of Jesus. NMBC is also an active partner with agencies locally, nationally and globally. As an inclusive community NMBC offers many ways for people of all ages to participate in and engage with the message and meaning of Christianity. Family First is a free, confidential advice and information resource in East Renfrewshire. Our aim is to provide support by working in partnership with families. We can assist and enable you to access local services professional and voluntary, ensuring the children get the best possible start in life. A Community First Responder is a member of the public who volunteers to help their community by responding to medical emergencies while the ambulance is on its way working in partnership with the Scottish Ambulance Service. A Community First Responder is trained in a wide range of emergency skills, and use specialised equipment such as automatic external defibrillators and oxygen therapy. They are then able to provide an early intervention in situations such as a heart attack before the professional crew arrives. Neilston and Uplawmoor Community First Responders went live on January 2014 and have responded to 660 Emergency Calls. Area's we have responded in are: Neilston, Uplawmoor, Barrhead, Thornliebank, Paisley, Newton Mearns, Howwood, Johnstone, Linwood, Beith, Kilbirnie, Dalry, Stewarton, Dunlop, Lugton and many more places to name. We have a team of 30, 20 are live responders and we are awaiting training for a further 10 which will mean we will have 30 live responders by the beginning of next year. We have 2 vehicles sponsored by Arnold Clark which allows us to have 4 Volunteers on shift at any one time and able to respond to two patients within our area's. We are completely self funded and have to fundraise regularly to remain operational & work alongside funders such as ER Good Causes, St John Scotland etc to allow us to generate funds to remain operational. We have Terrafix Smartphone technology which allows our responders to track on Ambulance Control System to show closest to any patients in need. It also allows the responder to get directed to the patients address without any delay. 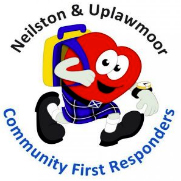 We are on Facebook - Search Neilston and Uplawmoor Community First Responders and on Twitter @NandUresponders. Eaglesham Parish Church is a vibrant church which supports local initiatives as well as international charities. We hope that our new Carswell Centre in Montgomery Street, Eaglesham, will provide facilities for local groups, and we look forward to serving the community in this way. We have lots of activities taking place in our church buildings, please contact our church website, email the Church Office, or phone the Church Office to learn more. 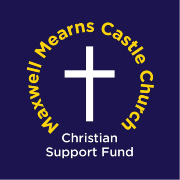 The Maxwell Mearns Christian Support Fund is a fund which aims to provide small grants for the benefit of individuals and groups within, or serving, the residents of the Newton Mearns area. In following our Christian Faith, the MMCSF objectives are to "Love our Neighbour" as this is our way of honouring Jesus Christ our God. Please download a grant form here, then once fully completed, please email it back to this email address. We are a charity based in Glasgow which supports vulnerable adults many with learning disabilities, to live an independent life, safely, within their own homes and be fully involved within their local communities. We employ Community Living workers who live locally so there is early recognition when life is becoming difficult for our members and crisis can be avoided. The outcomes for our members are a better quality of life, they are safer, stronger, and able to live independently and they themselves are sharing these new skills with other vulnerable adults. Together, we hope to inspire people, create a feeling of acceptance and belonging, a sense of neighbourly involvement and to re energise neighbourly connections. RAMH promotes recovery from mental ill health, and empowers people to build independent, fulfilled lives. We do this in 6 ways: by providing immediate support in crisis situations;	by supporting people in their own homes with individualised care and practical support;	by providing counselling and social, therapeutic, creative and educational groups; by promoting self management and empowering individuals to achieve their potential; by supporting carers, family and friends through education and information; by raising awareness to break down the barriers, inequalities and stigma around mental health. Our values are: RAMH believes that people have the potential to recover from mental ill health; RAMH uses the ideals of recovery and support to reinforce hope, respect and equality; RAMH recognises individuals' strengths and empowers individuals to find solutions and to create meaningful lives. Broom Church is a congregation at the heart of our community. We are welcoming to all who use our premises. The following are groups of all ages who meet regularly at Broom - Sunbeams, Brownies, Guides, Guild, Little Kicks, Zumbaholics, Broom Nursery, Dance Exercise, JAM Dance, Fuse-Fit, Broom Card Craft, Mearns & Whitecraigs Flower Club, Pilates, Parent and Toddlers, Stagecoach, Universal Pentecostal Church. In addition to these the halls are used for Birthday Parties, Family Functions and community functions. Our Service is at 10am each Sunday and is all age inclusive with traditional and contemporary worship. In addition we have our Wednesday Break at 10.30am each week. We would like to welcome you, whoever you are and wherever you come from. Please look out for our new Church Website coming soon and please do feel free to contact us. Our Minister is Revd James Boag, BD,CertMin. The focus of Activity Agreements is to support those vulnerable young people who have left, or are leaving, school and have been assessed as requiring first step engagement and intensive support in order to progress toward and into further learning, training or employment. It is a formal agreement either signed or verbal between a young person and an advisor that the young person will take part in a programme of learning and activity (once they have left school) which helps them to become ready for formal learning or employment. View a 3 minute video on East Renfrewshire Activity Agreements. 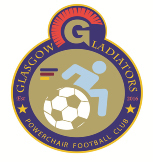 Glasgow Gladiators Powerchair FC provides a fast paced team sport for people of all ages in the Glasgow area who use a powered wheelchair. The club ensure participation by all players, no matter of their ability, with everyone getting fair and equal game time in Scottish Powerchair Football League matches. East Renfrewshire Council, Housing Services is the largest provider of socially rented housing within the area, offering not only homes but a variety of services to those looking for housing related support and advice. If you would like to find out more about our services, please visit our website below. The Scottish Welfare Fund is a service provided by councils from 1 April 2013. It replaced the discretionary Social Fund provided by the Department for Works and Pensions. The Scottish Welfare Fund will offer 2 grants. Crisis Grants can help pay for the things someone needs to prevent harm to their or their family's health or safety because of a disaster or emergency such as fire or flood, losing money, your normal benefit payments are delayed or have stopped, or being sanctioned by the DWP. Applications can be made for living expenses and essential items such as food, heating costs, nappies, toiletries, and emergency travel such as visiting a sick child in hospital. A decision on a Crisis Grant will be made no later than the end of the next working day. Community Care Grants can be made for basic essential items such as furniture, household goods, travel costs, white goods, removal expenses, storage charges, connection charges for gas and electricity. A decision on a Community Care Grant will be made within 15 working days. Community Care Grants can help people in the following circumstances: you are coming out of care or long term hospital; you have been homeless; you have just been released from prison; it can also help families and individuals facing exceptional pressure. East Renfrewshire Conservative Association has been proud to represent local Scottish Conservatives for many decades and with the uncertain political terrain that surrounds 'Brexit', seldom has it's local presence been of greater importance. Promoting the strengths and values of the Union throughout the area, we continue to do all we can to promote Scottish Conservative and Unionist representation in Westminster, maintain our constituency representation at Holyrood and increase our influence at Council Headquarters in Eastwood Park. Our ever-growing membership welcome all of like minds and all ages to the various campaigning and fundraising events - from Action Days, Bridge Afternoons to Quiz Nights - that take place throughout the year. East Renfrewshire Labour are proud to work in partnership with local people and organisations. They are the bedrock of our local communities. We, as a Party, believe that by the strength of our common endeavour we achieve more than we can alone. It is for that reason that we are proud to support the vital work of ERGoodCauses and look forward to working in partnership with them as we look towards our joint future. East Renfrewshire SNP, representing branches in Eastwood, and Barrhead, Neilston and Uplawmoor, is an energetic, community focussed group of people, working hard to make our local area the best it can be. Many of our members are local activists and volunteers, who work with those in need or to support organisations who make a difference to the lives of others. East Renfrewshire Good Causes do amazing work, focussing on individuals within our East Renfrewshire communities who are facing difficulty, and helping them with practical support and solutions. Russell and Yvonne are fantastic ambassadors for ERGC, as well as for our local area, demonstrating the brilliant community spirit which makes East Renfrewshire such a positive and welcoming place to live. We are delighted to support their work. Saint Ninian's High School, opened in 1984, is a six-year co-educational Catholic school. The school serves the communities of Clarkston, Giffnock, Newton Mearns, Eaglesham and Busby in East Renfrewshire. We are very proud of our academic success, the high standard of pastoral care we offer our young people and the wide range of extra curricular activities offered to our pupils. We aim to create a learning culture in which we promote the all-round education of pupils, developing articulate young people who are confident in their own ability, have high aspirations, and where young people learn to be leaders for life based on the values, experiences and education promoted in our school. Through the breadth and depth of the education we offer, our young people are stretched intellectually, artistically, aesthetically, physically, musically and spiritually. The work of East Renfrewshire Good Causes very much contributes to our work and we are proud to be recognised as one of its partners. Arrange transport to hospital, GPs and clinics (GP referral necessary). Hire accessible vehicles to groups/organisations. Arrange outings. What we do? Generations Working Together provides information, delivers support and encourages involvement to benefit all of Scotland's generations, by working, learning, volunteering and living together. Vision - that all generations in Scotland will work together to create a better and fairer country for all. We are a large, non-denominational primary school situated in the Newton Mearns area of East Renfrewshire. At Kirkhill we are very proud of the close links we have fostered within our community. Led by our hardworking pupil groups, all of our children and staff are encouraged to take an active role in supporting local charities and projects in our area, as well as those further afield. We are proud to link with East Renfrewshire Good Causes, happy to support and contribute to its work and fundraising initiatives. Project and Service Summary - at April 2017. Our projects are designed around principles of access, engagement and participation in the arts and creative processes. They are specifically to benefit marginalised young people including those who are care experienced, young carers, those at risk, who are disabled or ethnically diverse. Indeed, those children who are least likely to access the arts but have most to gain from doing so. Giffnock Community Council seeks to act as a focus group for the local community. Our aim is to reach out to the community, listen and bring about improvements. This can mean lobbying East Renfrewshire Council on local issues of concern, but also fund raising for projects that will bring benefits to the community. The Include Me 2 Club is a fantastic social club for adults of all ages and different forms of disability, to meet on a regulaqr basis in a social setting. To find out more, please see the contact details below. Lloyds TSB Foundation for Scotland (the Foundation) exists to make a difference to the lives of people in Scotland, and beyond. We work closely with other charities, communities and policy makers to encourage positive change, opportunity, fairness and growth of aspirations. Our place-based programme is connecting with areas independent funders have not traditionally reached, where communities want to lead change. This programme has just begun in Dunterlie, Barrhead. To find out more about our place-based programme in East Renfrewshire contact Laura at Dunterlie Resource Centre. Established in 1993, ENABLE Trustee Service, part of the ENABLE Scotland family, was set up in response to concerns of parents and carers about leaving an inheritance to their child with a learning disability. ENABLE Trustee Service works alongside other trustees who are often family members to look after the trust, but as corporate trustee is responsible for dealing with the investment and tax aspects of trust management. There is a common assumption that you must have significant amounts of money to put into a trust, however this is not the case. Many of our trusts are set up with the receipt of a parent's estate and this is often is the value of a standard house, car or modest savings account. If setting up a trust is something you believe will be beneficial to someone you know, please get in touch. 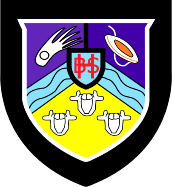 Eastwood High School is a non-denominational school within East Renfrewshire. Our main priority is to provide a high quality educational experience for young people. We seek to achieve this through working in partnership with parents. Eastwood High School values high academic standards and one of the key functions as a school is to ensure that everyone within the school community achieves their full potential. In addition to being encouraged to achieve the highest standards in academic studies Eastwood High School pupils also have the opportunity to participate in a wide range of extra – curricular activities encompassing sports, clubs, recreational activities and fund raising. We have a proud history of supporting national and local community charities over the years and we will endeavour to support and raise awareness of East Renfrewshire Good Causes and the positive impact they have on our local community. Hazeldene Family Centre is a Local Authority Early Learning and Childcare setting, for 3-5 year olds in East Renfrewshire. Hazeldene Family Centre is a nurturing and inclusive family environment, where children, parents and staff learn and grow together to achieve the best outcomes. We provide a service to children and families 50 weeks per year. We are proud of our links with East Renfrewshire Good Causes and strive to raise awareness of the amazing support the charity has provided for our children and families. We are a church committed to seeing the flourishing of lives in and around us, with ways to share creatively in our common good here across the southside of Glasgow, as part of our witness to Jesus. Want to grow in faith, and use your gifts and skills for others? We would love to work together with you, finding new ways of being church together and following Jesus for the sake of others. The 145th has been in existence since 1942 and is proud to offer the Scouting experience to young people from the ages 6 to 18. 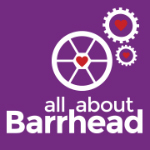 All About Barrhead is made up of almost 150 Barrhead town-centre businesses, who aim to bring a sense of community back to the town through a series of business-led projects and events. They launched the first ever Christmas Lights Switch on in the town in 2016, which brought almost 5,000 people out to enjoy the firework display and have since launched the Barrhead Rainbow Run during the summer months, and the hugely popular Barrhead Hallowe'en Parade. Having launched in September 2016 they have already made a huge difference to the area. The 'I Love Clarkston' Business Improvement District (BID) is made up of some over 130 businesses in the town, promoting Clarkston as a positive place to visit, shop, live, work and socialise.​ They host some of the biggest events in the area, with their annual Christmas Lights Switch On being a particular highlight!​ The BID is in it's second five-year term, returning a 'YES' ballot in both 2010 and 2015. Fares4Free (F4F) is a free to use personal taxi service that assists Armed Services Veterans and their dependants, who have been referred to the service by specialist support organisations as being in need of assistance. F4F can help with a range of issues including health, hardship and loneliness and isolation. I Am Me is a community charity that works in partnership with Police Scotland to raise awareness of and tackle disability hate crime. 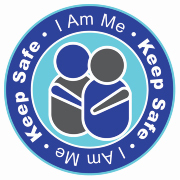 There are two key initiatives; I Am Me and Keep Safe. I Am Me works with communities, schools, disability groups and organisations to raise awareness of what disability hate crime is and how incidents can affect both individuals and the wider community. Keep Safe works in partnership with Police Scotland and a network of local businesses to create 'Keep Safe' places for disabled, vulnerable, and elderly people when out and about in the community. People can access these premises to seek assistance and help if they feel lost, confused, scared, in danger, or have been the victim of a crime. Keep Safe cards are available and detail information about any health conditions, communication requirements and who to contact in the event of an emergency. A free Keep Safe Scotland phone app maps out all Keep Safe places in Scotland. Visibility works across all ages, with adults and children who are blind or partially sighted and live in the west of Scotland. Visibility runs a wide range of services which are available to people with a visual impairment, their families, carers and other professionals. 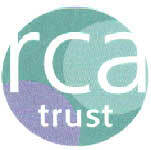 RCA Trust is an independent voluntary sector organisation that was established in 1978. The main objective of the organisation is to seek to limit the effects of alcohol, gambling and other problematic behaviours on the individual, their families and the wider community as a whole by providing a range of services and interventions designed to support the individual and their concerned significant others. The Parish of St Joseph's, Clarkston serves an area including Busby, Clarkston, Netherlee, Muirend, Parts of Giffnock, Carmunock, Williamwood, Waterfootand Thorntonhall. Please visit our website for details of our services throughout the week. 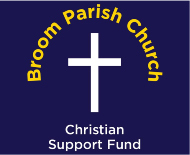 The Broom Church Christian Support Fund is a fund which aims to provide small grants for the benefit of individuals and groups within, or serving, the residents of the Newton Mearns area. In following our Christian Faith, the MMCSF objectives are to "Love our Neighbour" as this is our way of honouring Jesus Christ our God. Please download a grant form here, then once fully completed, please email it back to this email address. Warrior Explorer Scout Unit offers fun, challenge and adventure to young people aged 14 - 18 years across East Renfrewshire in the form of a weekly programme of activities, camps, expeditions and the Duke of Edinburgh's Award scheme. Together with this, it works with community individuals and organisations in fulfilling the Scout Promise to help other people with fundraising activities and other beneficial activities. Many people from within our parish and surrounding areas have found their experience of the faith community at Orchardhill one that gives them a different way to cope with life; gives them a stimulating perspective on Christianity in the 21st Century. New members, seekers, explorers, questioners and doubters are always welcome and we are willing to help you affirm "your Orchardhill" as your spiritual home and to work towards understanding our faith. If you would like to know more or talk to someone about becoming a member, please contact our Minister Grant Barclay, Minister@Orchardhill.org.uk or drop us a line through the Church Office, secretary@orchardhill.org.uk. Our vision is to be a church with a heart for our community and to place ourselves at its heart. This is making itself known in lots of ways through our charity, Mearns Kirk Helping Hands. At present we offer bereavement support, care for folks with dementia and various other ways of being there for people, seeking to meet the needs they have. It is our hope to grow our work as we continue to respond to other perceived needs which we feel that we can help to address. Mearns Kirk Church itself offers ways of exploring Faith in our time and help to discover the reality of God in our daily living. For any information about anything that we are doing please contact the Minister, Joe Kavanagh. 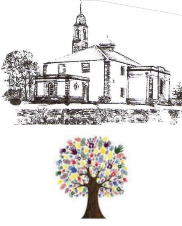 The Common Good Fund of Netherlee Parish Church has been established to provide financial assistance to those individuals in the communities of Netherlee ans Stamperland, Glasgow and East Renfrewshire areas thought worthy of support. Applications can be made to the church at anytime directly, please send requests to office@netherleechurch.org or by referrals made via info@ergoodcauses.co.uk. All referrals are treated in strictest confidence. Funds are available to individuals, educational establishments, childrens' charities, the elderly and Scottish branches of chosen charities and may also supplement donations form other Churches of Scotland especially groups raising funds for the same charity. Auldhouse Community Church is an independent community focused church based in the Pollokshaws/Newlands are of the Southside of Glasgow. Among it’s various community activities it runs a weekly Foodbank and Lunch drop-in on a Thursday from 11:30am to 2pm. Last year it provided emergency food parcels to over 700 families or individuals on the Southside of Glasgow. East Renfrewshire Council's Money Advice and Rights Team (MART) are a team of highly specialised advisers who can assist you with all aspects of your financial wellbeing. We offer support from Income Maximisation Officers who will carry out a benefit check to ensure you are getting all that you are entitled to and assistance you with your forms. If your claim is unsuccessful our Welfare Rights Officers can help you appeal and will take your case to a Tribunal. Our Money Advisers can help you reduce your debt by liaising with creditors and discuss statutory debt reductions schemes with you. Our Support and Financial Wellbeing can help you to apply to the Scottish Welfare Fund, for charity applications and can offer support for Universal Credit. Our Veterans support officer will ensure that anyone who has served in the armed forces has access to a wide range of services.